Pelosi, speaker from 2007 to 2011 and the first woman to hold that job, was certain she will hold it again. Her foes were equally confident they have the votes to stop her ascension. And now President Donald Trump is getting into the fray, offering Saturday to provide Republican votes for Pelosi’s candidacy even though the GOP has long used the California Democrat as an election target. Pelosi was expected to work the phones from California after meeting privately Friday with newly elected Democrats who could be crucial to her bid. Those incoming lawmakers indicated they were having good meetings with the leader, though few said the talks had changed their minds. Rep.-elect Abigail Spanberger of Virginia said she had a “wonderful conversation” about her district’s priorities, but “will not be voting” for Pelosi. She appears to be winning the outside game in her bid, amassing endorsements from a who’s who of the nation’s Democrats. Inside the Capitol she has support from influential lawmakers such as Rep. John Lewis of Georgia, and backing from some of the incoming House members. 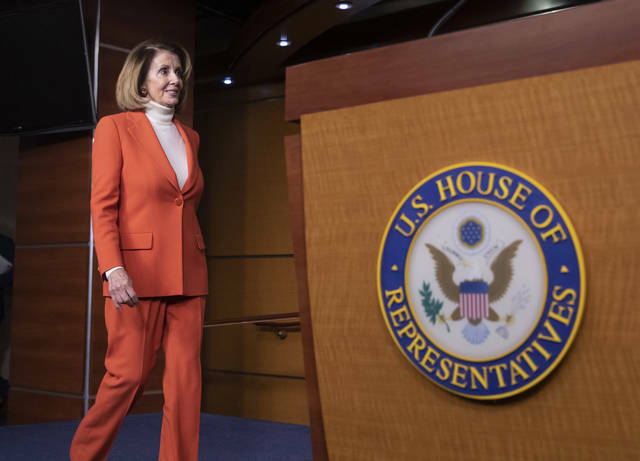 The internal debate is spilling out nationally, especially on social media, where Democratic activists are publicly criticizing Democratic Reps. Seth Moulton of Massachusetts and Tim Ryan of Ohio and others leading the campaign to oust Pelosi. It’s not lost on supporters that a group made up of mostly men is leading the effort. On the list of 17 names who’ve signed onto a letter against her, just three are women. Trump included the twitter link for Rep. Tom Reed, a New York Republican who has said he could be open to backing Pelosi if she committed to changes that would shift some power from the House leadership. 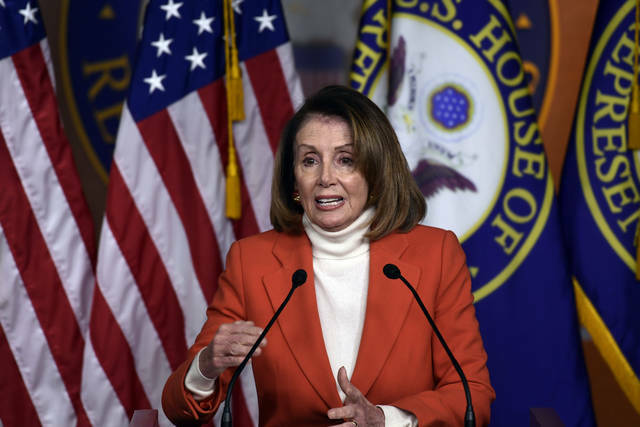 Trump’s latest postelection praise of Pelosi raises questions about his sincerity, given the Republicans’ election playbook of trying to tie Democrats in competitive congressional districts to Pelosi every chance they can. GOP lawmakers considering endorsing Pelosi would open themselves up to a potential primary challenges in 2020 for daring to support someone their base has reviled. The board approved football ticket and golf prices for 2019. • For football: The schedule for the 2019 season offers Florida Atlantic and Miami (Ohio) games in the lowest pricing tier, for $60 and $65, respectively; and Penn State and Wisconsin in the highest pricing tier, at $198 and $170, respectively, per ticket. Overall, season tickets for members of the public will cost $63 more than they did for the current season, and $58 more in total season ticket prices. The current student ticket price of $34 per game will continue at least through the 2020 season. • For golf: For the 2019 calendar year, alumni, faculty/staff and affiliate membership dues will increase by 2.5 percent, student membership dues increase by 2.1 percent and a $1,000 initiation fee for new members will be reinstated. • Review and update the College of Food, Agricultural and Environmental Sciences master plan. The project would develop a master plan to guide the development of 2.4 million square feet of facilities and more than 10,000 acres of land across the state of Ohio. Trustees approved professional services contracts of $700,000 to be paid with university funds. • Instructional science buildings deferred maintenance. The project will renew mechanical, electrical and plumbing services in Mendenhall Laboratory and Bolz, Howlett and Parks halls. Trustees approved professional services contracts of $2 million. Total project budget is $25 million to be paid with university debt. • Wexner Medical Center West Campus ambulatory facilities. The project will construct a new ambulatory facility at Kenny and Carmack roads that will include outpatient operating rooms, an endoscopy unit, an urgent care, a pre-anesthesia center, an outpatient diagnostic imaging center, and patient and building support spaces. The board approved professional services contracts through the design and development stage of $23 million to be paid with auxiliary funds. • Lincoln Tower 11th and 13th floor office renovations. The project will renovate the 11th and 13th floors for Wexner Medical Center faculty and staff offices. Trustees approved professional services and construction contracts of $5 million to be paid with auxiliary funds. • Ohio Union infrastructure upgrades. The board approved infrastructure upgrades to the Ohio Union to support high use rates and promote the longevity of the building. Trustees approved professional services and construction contracts of $5.3 million to be paid with auxiliary funds. • Wexner Medical Center inpatient hospital garage – infrastructure and road work. The project will construct a 1,870-space parking garage west of McCampbell Hall, provide adjacent site utilities and construct a street to connect 10th Avenue with Medical Center Drive and King Avenue. Trustees approved a $500,000 increase in professional services contracts ($6.1 million was approved in Feb. 2018) and construction contracts of $21.5 million to be paid with university debt and auxiliary funds. • Health Sciences faculty office and Optometry Clinic building. The project will demolish three existing buildings at the corner of West 11th and Neil avenues and construct approximately 106,000 square feet for optometry clinics, retail, faculty offices and support spaces. Trustees approved a $1.3 million increase in professional services contracts and a $6.3 million increase in construction contracts (the project scope was increased for a basement and an additional floor). Total project budget is $35.9 million to be paid with university and auxiliary funds. • Interdisciplinary Health Sciences Center (Anatomy Lab). The project includes renovating existing facilities and constructing a new building to create a collaborative campus for interprofessional education throughout the health sciences. Anatomy lab work includes renovating 18,000 square feet in Hamilton Hall and installing a chiller, boiler and generator. Trustees approved $4.4 million in construction contracts to be paid with state funds. William Wickes, bachelor of science in hospitality management.